Our studio is a place where we have the ability to be ourselves. We have established a culture that allows us to speak up, share our honest opinions and feel like we’re all working towards bettering ourselves and the firm. Our culture directly influences the work we love and enthusiastic relationships we have with our clients. But first, coffee. No, seriously coffee. While a bit cliché (ok, a lot cliché), every day begins with coffee. Cold and hot brew both are made each day from sustainably sourced beans. How integral is coffee to the beginning of our day? The office handbook has an entire chapter providing instructions on how to brew the perfect, ridicule-free pot of coffee. If you happen to be the first to arrive and “forget” to brew a pot while sipping your coffee house latte, it’s guaranteed that you will never forget again. After coffee, a quick consult of the National Day Calendar usually starts the music playlist. What is the perfect National Donut Day or World Emoji Day playlist? We can tell you. Speakers located throughout the office keep the mood light and provide the white noise necessary for the intense focus required for our work. Choose the wrong National Chop Suey Day playlist (and we all know its System of the Down) – a side-hand comment and the not so subtle shift to headphones clearly indicates it’s time to hang the shame curtains. After a busy morning collaborating, problem solving, and dreaming of working at one large mega desk (think Dwight Schrute), lunch orders are debated and negotiated, or for those that made trips to the grocery store furious chopping and prep await them in the kitchen. Lunch is a time to refresh, catch up and trash talk our way through a few hands of cards. Hearts is our game of choice, typically a four-person game, we adjusted the rules to fit the number of people which often requires two decks when 8 or more players are involved. There is no worse feeling than hearing “second queen” as the second queen of spades is played and realizing the 5 of clubs on the table is the high card and it’s yours. TECHNE works hard to support the culture we’ve created, and we continue to look for ways to strengthen our work and personal relationships. Whether it’s a weekly standing happy hour, Friday lunch, weekend TECHNE trips, cookouts in our courtyard or simply providing space for everyone’s voice, we are forever grateful for this crazy, lovable family that is TECHNE. 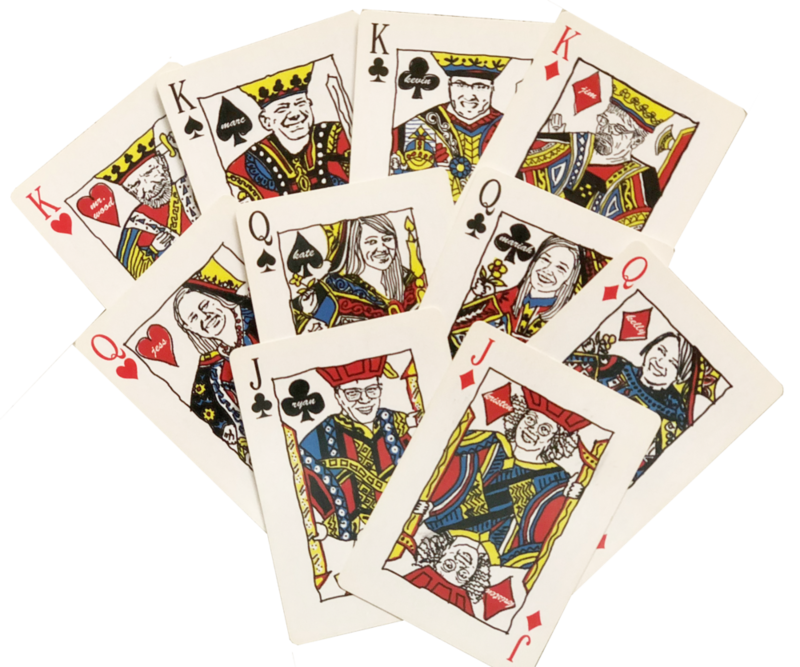 If you’re in the neighborhood and it’s lunch time, brush up on your dealing (YouTube is a good place to start) and join us for a round of hearts – we’d be happy to teach you the TECHNE way to play.